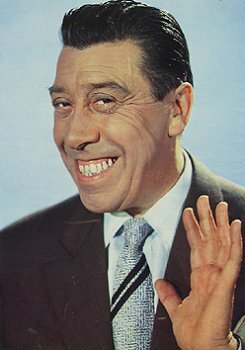 Fernand Joseph Désiré Contandin (8 May 1903 – 26 February 1971), better known as Fernandel, was a French actor, singer and comedian whose visual trademarks were comic facial contortions and a wide, toothy grin. Fernandel came from a modest background and achieved success through hard work and incredible good fortune. His real name was Fernand Joseph Désiré Contandin and he was born in Marseille on 8th May 1903. Both of his parents had a passion for the music hall and would often perform, in an amateur capacity, comedy and musical numbers at concerts, although his father was an accountant by trade. Immediately after he left school, the young Fernand was given a job in a bank, but soon managed to get himself fired. It was not long before Fernandel started to forge a career as a performer, appearing in café-concerts as a comic singer. To make ends meet, he found work doing odd jobs around Marseille. In 1925, aged 22, he married Henriette Manse, the sister of his best friend. They would have three children: Josette, Janine and Franck. 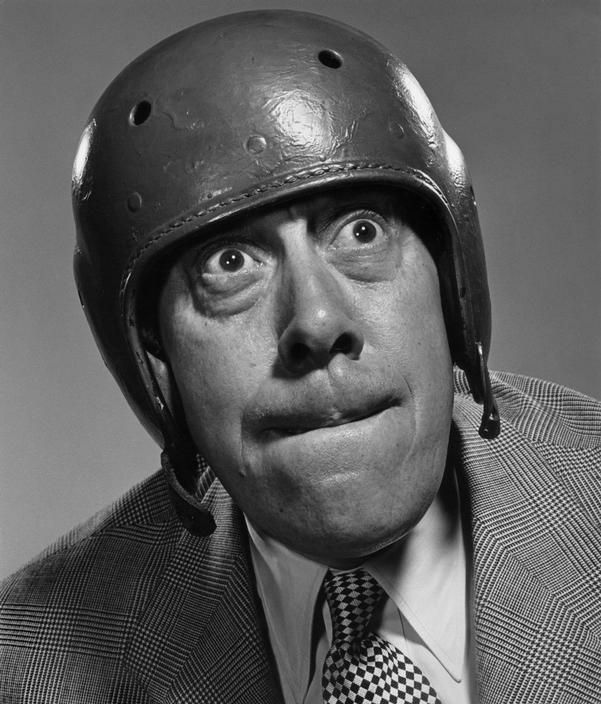 Fernand was so attentive to his wife that his mother-in-law referred to him in amusement as Fernand d'elle. 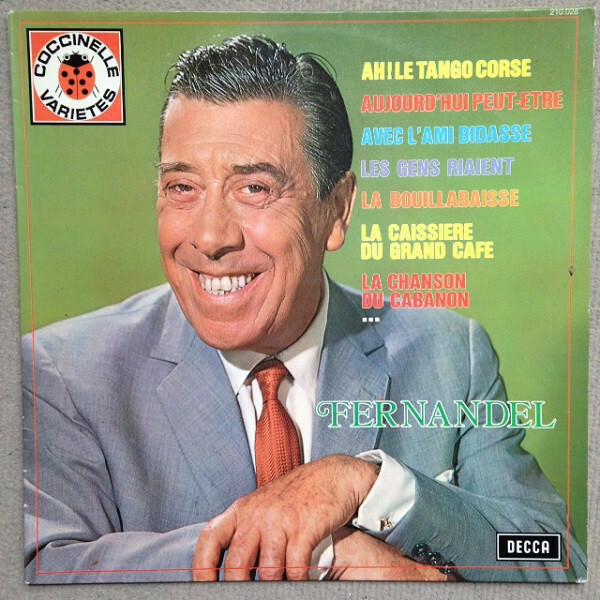 The term so appealed to the young comic that he decided to adopt it as his stage name, Fernandel. 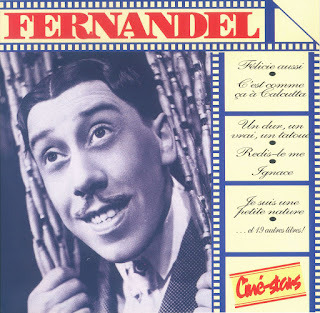 After his military service in 1926, Fernandel quickly resumed his precarious career in comic theatre. 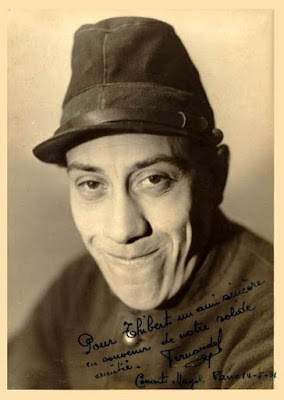 In 1928, he went to Paris and made his mark at the Bobino, in a performance that led him to win a series of contracts that rapidly established him as a music hall comic. Watching one of Fernandel's shows was Marc Allégret, a film director who, impressed by what he saw, offered him his first screen roles in a series of comedy shorts and then his first part in a feature film. His appearance in Le Blanc et le noir (1930; “White and Black”) initiated a 40-year motion-picture career that included more than 100 films, seven of which were directed by the French master of comedy drama Marcel Pagnol. He became France's top comic actor. He was perhaps best loved for his portrayal of the irascible Italian village priest at war with the town's Communist mayor in the Don Camillo series of motion pictures. His horse-like teeth became part of his trademark. In several of his comedies, Fernandel was able to put his vocal talents to good use, and many of the numbers he sang in these films were released as hit records, including Barnabé and Ignace. He also appeared in Italian and American films. His first Hollywood motion picture was 1956's Around the World in 80 Days in which he played David Niven's coachman. His popular performance in that film led to his starring with Bob Hope and Anita Ekberg in the 1958 comedy Paris Holiday. In addition to acting, Fernandel also directed or co-produced several of his own films. His profile was raised in Britain by the 60s TV advertisements for Dubonnet in which he would say "Do 'Ave A Dubonnet"
By the 1960s, Fernandel's career was on the decline and virtually all of the films he appeared in throughout his last decade were of low quality and ill-received, shunned by both the critics and the cinema-going public. 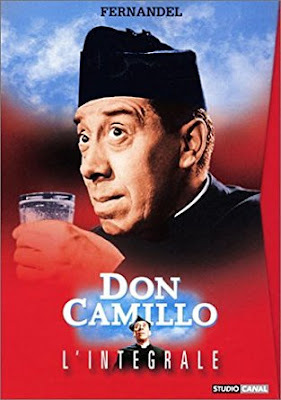 It was whilst filming Don Camillo et les contestataires in 1970 that the comic actor succumbed tolung cancer that would force him into an immediate retirement at the age of 66. After a long and exhausting period of medical treatment, he died from a heart attack on 28th February 1971, in his Paris apartment. He is buried in the Cimetière de Passy, Paris, France. 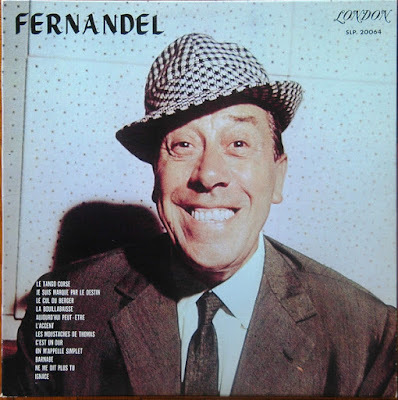 Fernandel was a unique talent, a man with an unerring ability to make people laugh, loved by people of all ages throughout the world. He was publicly recognised for his work, receiving such honours as the Knight of the Legion of Honour (in 1953) and the Grand prix de l'Académie du disque for his narration of Les Lettres de mon moulin (in 1968). He had two daughters, Josette (1926) and Janine (1930), and son Franck (1935). His son, known as Franck Fernandel, became an actor and a singer. Franck acted alongside his father in two films, Gilles Grangier's L'âge ingrat and Georges Bianchi's En avant la musique. 04 - Ne frotte pas François ! Please note mp3’s vary in bit rate. Thanks very much for this! I've been trying to get hold of a 50's film he was in The Red Inn without success.